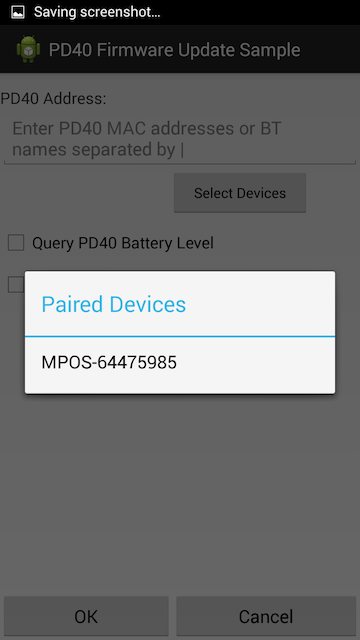 Bluetooth pair your Android device with the PD40 payment module. 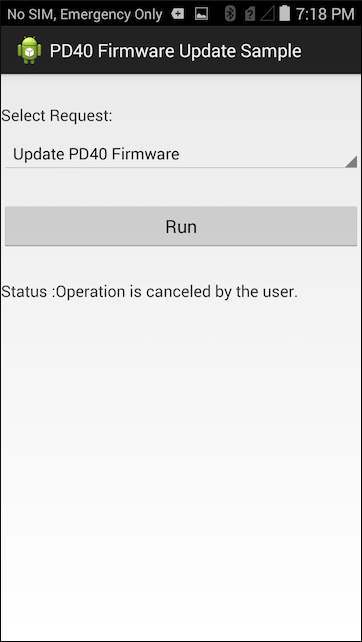 Launch the PD40 Firmware Update sample. The initial screen should resemble the following. 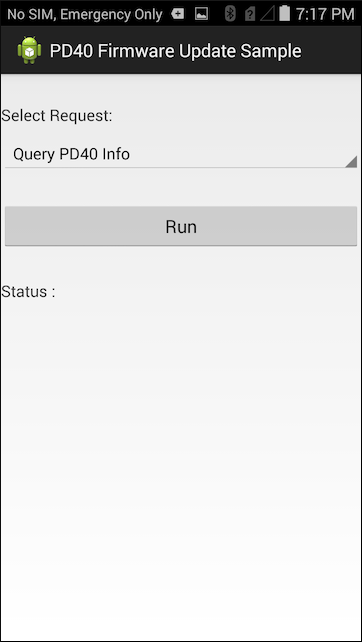 Leave the request spinner set to Query PD40 info and press the Run button. Press the Select Devices button and choose the previously paired bluetooth payment module. Now check both Battery Level and FW Version check-boxes. Now press the OK button. 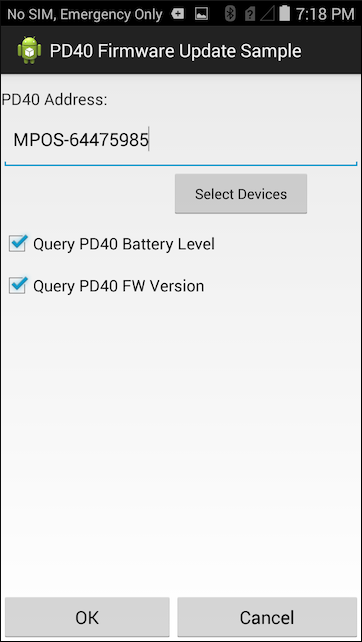 The Firmware Version and Battery Level should now be displayed in the status area. 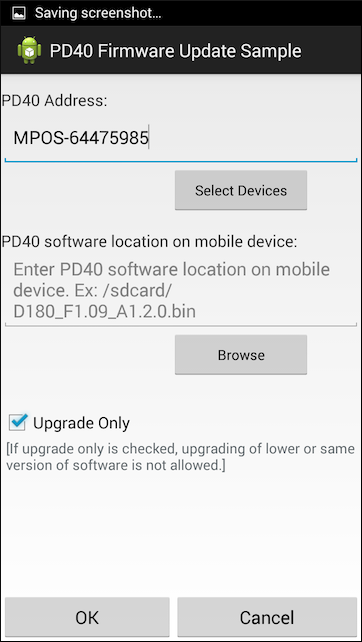 Launch the PD40 Firmware Update sample. The initial screen should resemble the following. Set the request spinner to Update PD40 Firmware and press the Run button. 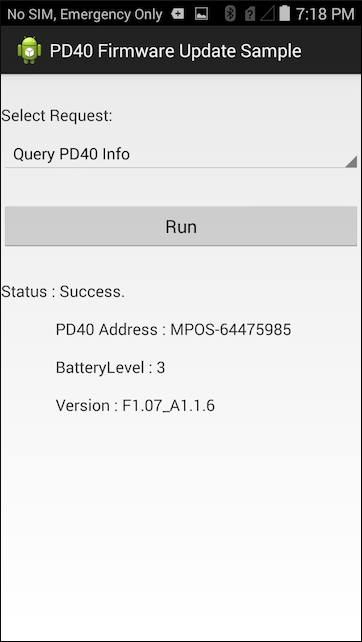 Press teh Browse button and select the PD40 Firmware file you would like to use, then press the OK button.